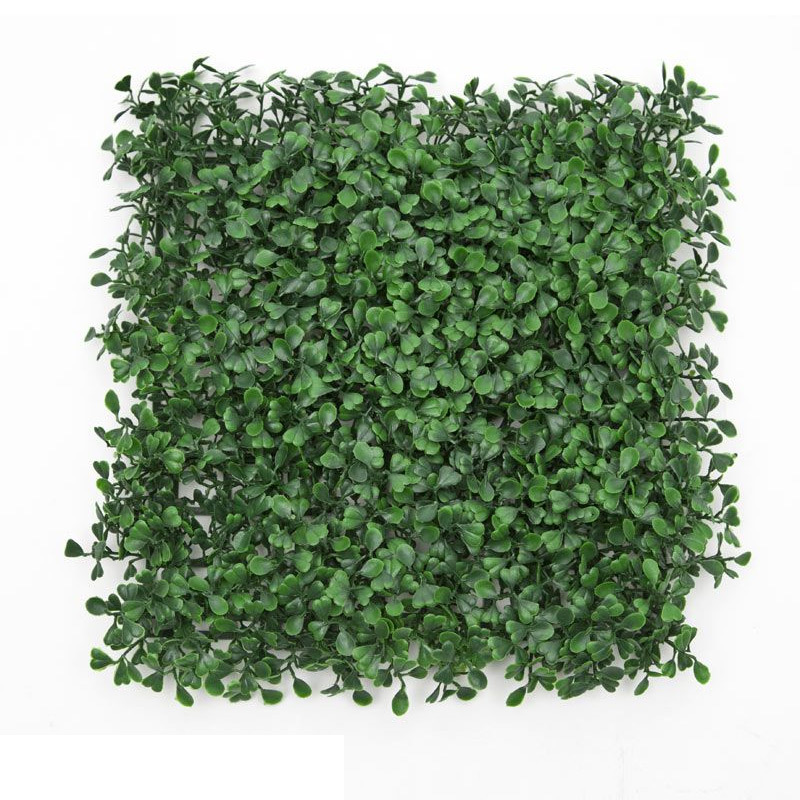 Create green walls and other designs of your own making with our Boxwood and Ivy Mats. These artificial green mats are 12” x 12” squares, making it easy to create your very own design in the size and style you need, whether it’s a patch of green for a photo backdrop or a full accent wall, indoors or out. Cover unsightly views like utility boxes and air conditioning units, hiding them with lush greenery. Mount them to chain link fences for added privacy—and since they’re made with UV-protected materials, they can be used outdoors without fear of fading from the sun. There are endless possibilities for these zero-maintenance green mats! Choose from Boxwood and Ivy foliage. Mats are sold individually. Our artificial plants look anything but fake. Made of the highest quality commercial-grade materials, each plant consists of a unique polyblend component to withstand fading and discoloration. That means your plants will look great year round, even if they are exposed to the harshest outdoor elements. Each foliage square is made to look as much like its living version as possible, especially when it comes to size, color, texture, and density. Our artificial plants can be used in outdoor and indoor commercial and residential spaces. With fake plants this good, you can relax instead of spending time and money to keep them in great shape. Our selection of foliage tiles covers a wide range of plant and flower types, giving you plenty of options to find the style that best fits your space. Add unique texture and monochromatic color to a chic, modern space with outdoor artificial boxwood mats in shades of green, or add a pop of color to a whimsical area with flowering azalea mats in red or pink. The beauty of artificial plants is that you aren't limited by what grows well in your climate, meaning you can use whatever plant type best works with your space, style, and architectural details. The countless options of how to incorporate foliage squares in your space let you create a one-of-a-kind look to truly represent your brand and style. Most mats come in a standard size 12"x12" square and can be easily interlocked to create a seamless, larger piece. Connect multiple boxwood tiles to quickly cover an unsightly wall or to create a focal point art piece. You can also use individual squares to outline a walkway or as table decor. If you can't find exactly what you need in our catalogue, give our representatives a call to discuss your project and start a custom-made piece. With artificial hedges, the only limitation is your imagination.